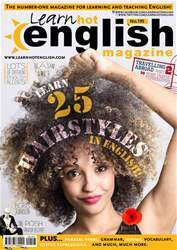 OUR MONTHLY LOOK AT ENGLISH ACCENTS FROM AROUND THE WORLD IN BOTH ENGLISH-SPEAKING AND NONENGLISH-SPEAKING COUNTRIES. THIS MONTH: THE POSH ENGLISH ACCENT. The posh English accent is typically an upper-class English accent. Famous people with a posh English accent include Sir Laurence Olivier, the Queen, Prince Charles, Prince Harry, Prince William, David Cameron, Helen Mirren and Hugh Grant. Posh people can be found all over the country, but like to congregate in the London area of Kensington and Chelsea, particularly in Sloane Square and Sloane Street (hence one of their nicknames, Sloane Rangers).